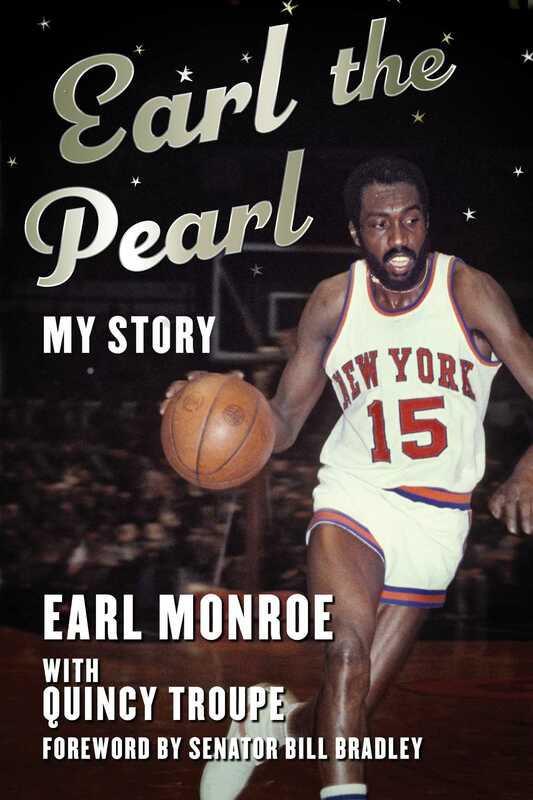 The complete autobiography of Earl "The Pearl" Monroe--now in paperback! Earl "The Pearl" Monroe is a basketball legend whose impact on the game transcends statistics, a player known as much for his unorthodox, "playground" style of play as his championship pedigree. Observers said that watching him play was like listening to jazz, his moves resembling freefloating improvisations. "I don't know what I'm going to do with the ball," Monroe once admitted, "and if I don't know, I'm quite sure the guy guarding me doesn't know either." Traded to the New York Knicks before the 1971–72 season, Monroe became a key member of the beloved, star-studded 1972–73 Knicks team that captured the NBA title. And now, for the first time in paperback, Monroe tells his remarkable story of that championship season and so much more. Written with bestselling author Quincy Troupe (Miles, The Pursuit of Happyness), Earl the Pearl retraces Monroe's life from his upbringing in a tough South Philadelphia neighborhood through his record-setting days at Winston-Salem State, to his NBA Rookie of the Year season in 1967, his tremendous years with the Baltimore Bullets, and ultimately his redemptive, championship glory with the New York Knicks. Updated since first published in hardcover, the book culminates with a revealing epilogue in which Monroe reflects on the events of the past 45 years, offers his insights into the NBA today, and his thoughts on the future of the game he loves. "I, like hoop fans everywhere, have hoped to get my hands on Earl's life story and now it's finally here as told by the master himself. The Pearl's story is something every basketball fan should read. I know hoop fans everything are smiling." "Earl Monroe was an unconventional type of player who came out of the Philly playgrounds. He was great at creating stuff—the spin move, the double pump—and he was deceptively quick. I enjoyed playing against him because he was unpredictable and could challenge you in so many different ways. He definitely could affect the outcome of a game." "Earl Monroe was a special basketball player, a true original on and off the court, and a real student of the game. I would have loved to have played with him." "Earl the Pearl was simply music on the basketball court. Every time we watched him play on TV, our bodies would shake in accordance with his rhythm. This is a truly wonderful, soulful, funny book. So cool. Just like the Pearl."